Hubby and I enjoy grabbing a quick bite at Native Foods. One of my favorite dishes there is the Sesame Kale Macro Bowl. The recipe below is my knock off, minus the tempeh. I love tempeh, but didn’t have any the day I made this. Add some baked or fried if you like! 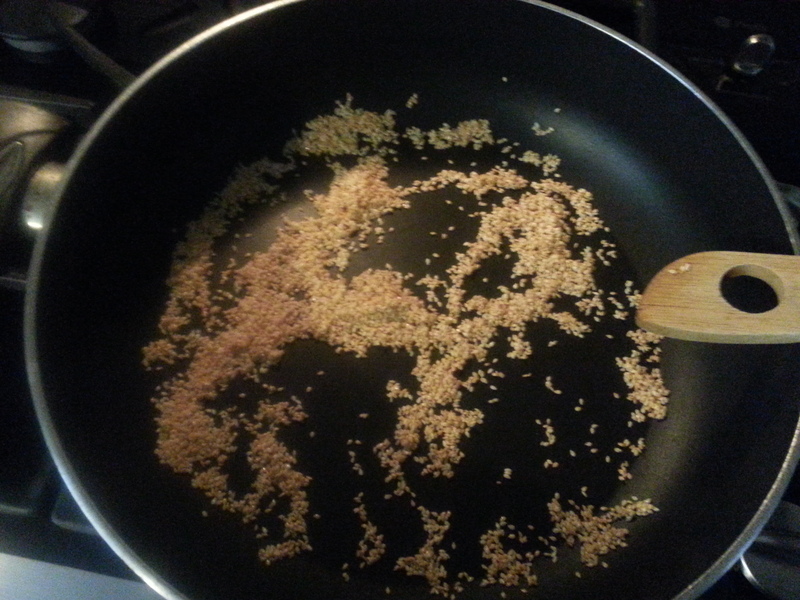 In a non-stick pan using medium-high heat, brown sesame seeds and remove to a bowl for later. Use the same pan and add kale, stirring until wilted. Move to one side of the pan and place sauerkraut on the other side. Turn down heat to low, cover and allow sauerkraut to warm up. To prepare sauce, add water, Braggs, miso, tahini and ginger to food processor or blender and mix thoroughly until smooth. 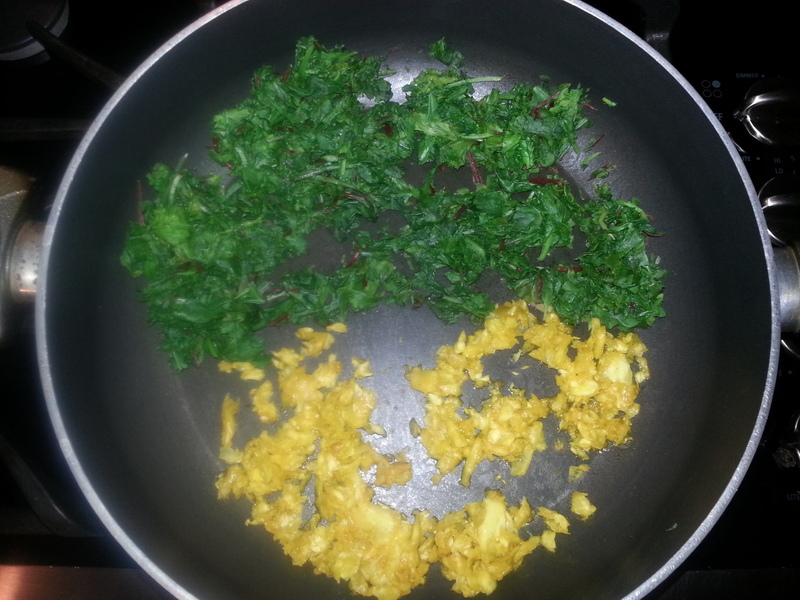 Spoon cooked rice into bowl, top with kale and sauerkraut. 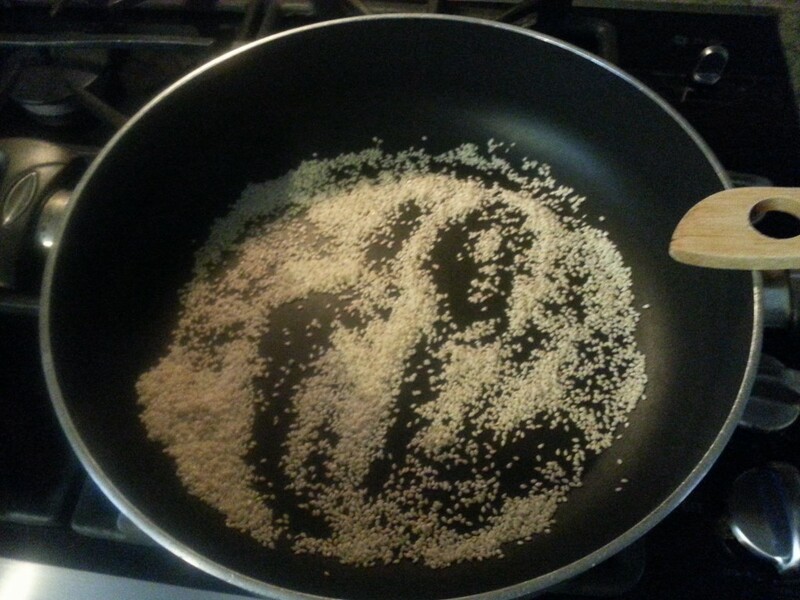 Pour on miso sauce to taste. 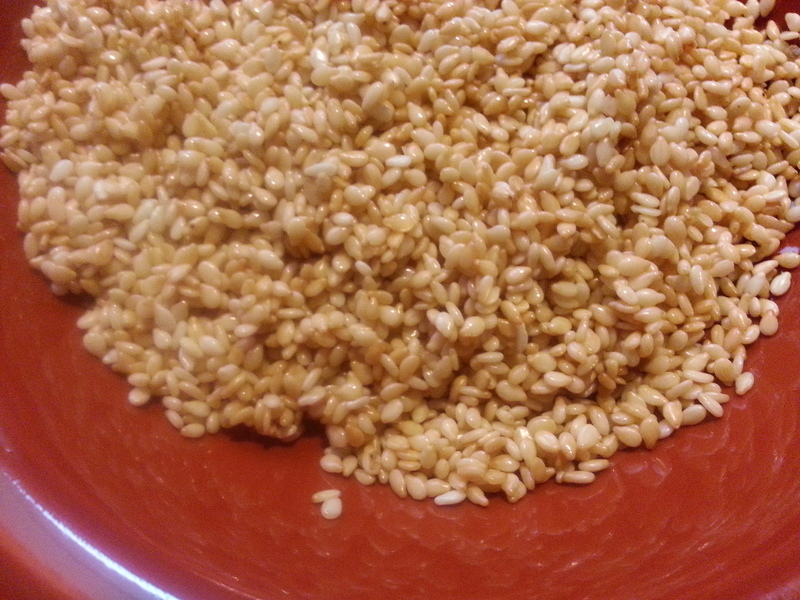 Sprinkle on some toasted sesame seeds. Eat and by healthy! 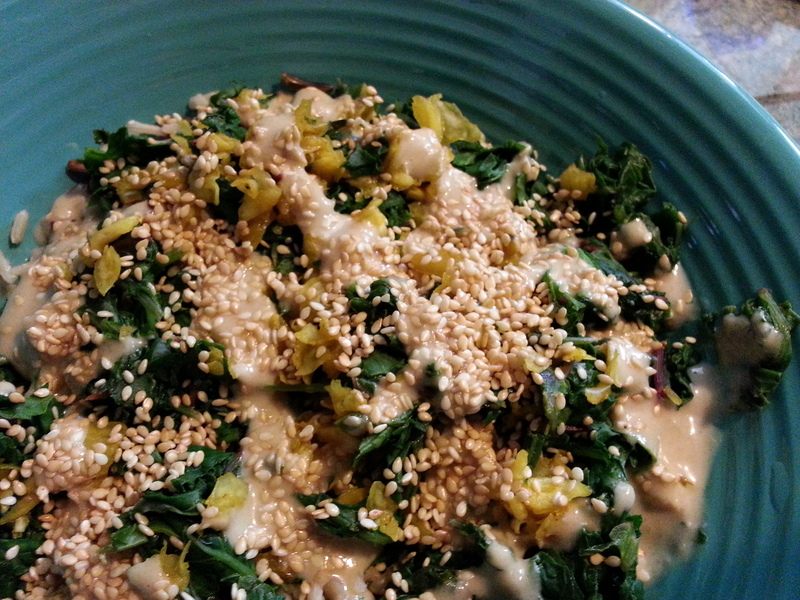 This entry was posted in main dishes, Recipes and tagged gluten-free, glutenfreevegan.me, glutenfreeveganme.com, healthy, kale, Native Foods, raw vegan, recipe, rice bowl, sauerkraut, Sesame Kale Macro Bowl, sesame tahini sauce, vegan cooking. Bookmark the permalink.